“Why do motorcyclist crash?”, different people have different answers to this question. Some believe the crashes occur due to the recklessness & carelessness of the rider whereas some blame external influences such as the weather. 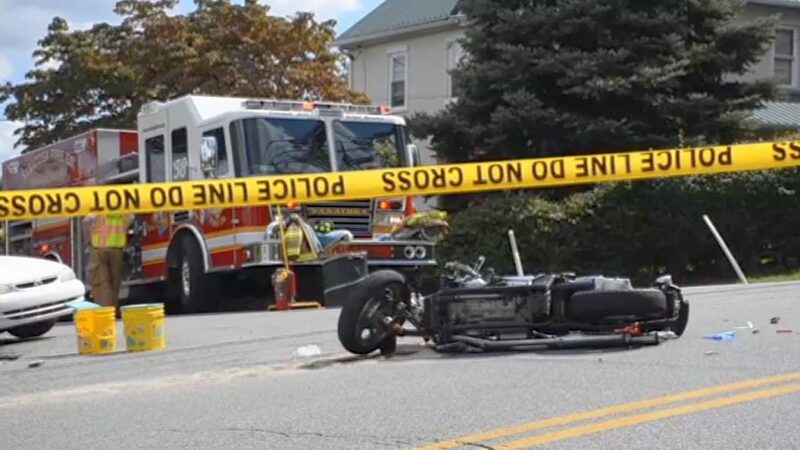 Whenever there is a crash between a car and a motorcycle, no matter who is at fault the motorcyclists will come off worst. Think about all the times u were driving and suddenly someone pulled out in front of you unexpectedly? Speed can get you out of trouble. The skill to overtake only comes with enough experience and knowledge about judging speed & distance as well as your motorcycles speed. It is very important to get use to the bike you are riding and understanding how it reacts in different situations. Rule of thumb: Don’t try to overtake when you are approaching intersections. In order to overtake safely you need to screen through all angles. You don’t know if the other road user will slow down and let you in. So be aware of the surroundings and be prepared. Weather is the biggest culprit here. Rain and Snow can definitely make road conditions worse for riding. Other factors include broken roads & uneven surfaces. It is crucial to have a good judgement of the road conditions and what to expect before you go for a ride. Sometimes new roads can also have slippery surfaces. Also look out for oil spills, mud,manhole covers & loose gravel. Always make sure your tires are in a good condition and get them replaced every 10,000kms or 3 to 5 years depending on how much you ride. In reality, your life depends on those two pieces of rubber with a very small contact patch with the ground. At this point, not only do you need to take notice of roads but also how the trees are spread out, if there are any other obstacles in your way or how to ride on a bent road. Roads can be unpredictable, some of the things to watch out for are water bars, gravel, obstacles & bends. Some bends could be smooth and even whereas other can be really tight and you can only know that once you enter one. If you enter a bend at a really high speed you could potentially end up in a problem. You need to be comfortable using both the front & back brakes in these situations. For example on gravel you are at a higher risk to drop your bike if you use the front brake. If you are unsure that your motorcycle is fit for riding book an appointment with your trusted Service department and they will take care of it all for you.